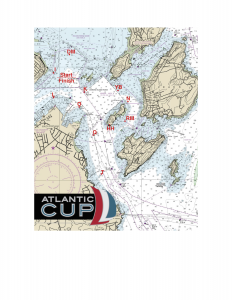 Cheer on your favorite teams as they race in the inshore series of the Atlantic Cup! The best place to watch the racing from land will be from the Fort Allen Park. Each morning at 10:00am there will be a Dock Out Ceremony held at Maine Wharf. There will also be live commentary and announcements as the boats leave the dock to head off to the race course. Teams will race on a variety of courses. At this LINK you can download the courses and map. Race Committee will be on VHF Channel 69. Come watch the award ceremony where the overall winner of the 2018 Atlantic Cup will be crowned!